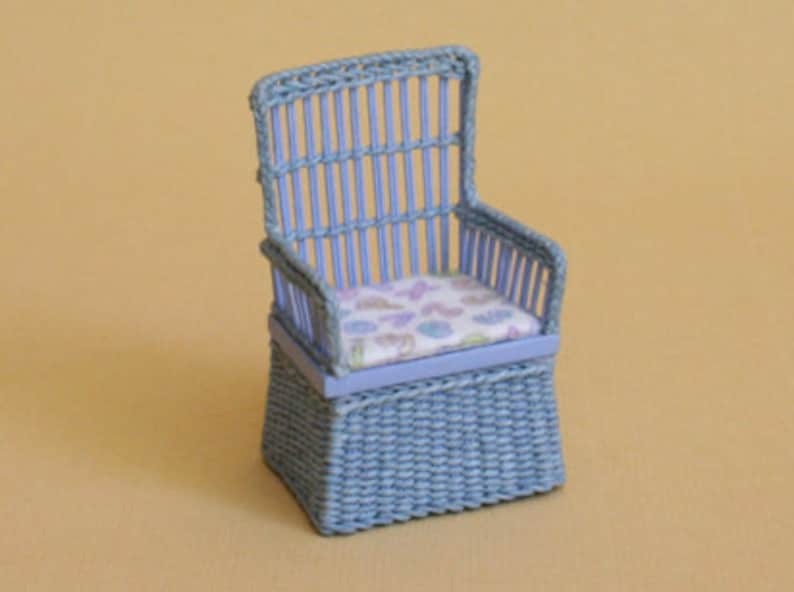 Dollhouse miniature, Wicker little chair for boy, blue, cotton fabric, measures H 60 mm. x B 38 mm. x W 30 mm.